Can somebody please explain where July went? Two things we do know for sure, it was FUN while it lasted, and it's taking us into Labor Day one weekend at a time! There's plenty to keep you chilled, filled, dancing and romancing this weekend so let's get to it, here are our top 10 things to do in Tampa Bay this weekend. Tampa Bay Comic Con kicks off Friday morning at 9 am and ends Sunday at the Tampa Convention Center in Downtown Tampa. We can help you find restaurants in Downtown Tampa, Nightclubs and Bars to explore before, after and during this exciting Tampa event. There are FREE ways to travel Tampa, call for Tampa's Downtowner Tampa Free Ride Service, or pay a nominal fee to board the TECO Line Streetcar System to events in Ybor, like the Digital Masquerade at The Castle (the UNOFFICIAL Comic Con after party). You can also pay to ride Pirate Water Taxi upriver to several jumping off points for oysters and beer at Ulele or Rick's on the River or to relax in Water Works Park Champions Sports Bar & Grille. One of the best places, right across from the convention center to experience an authentic Ybor Cuban sandwich is at Champions Sports Bar & Grille in Tampa Marriott Waterside Hotel & Marina, an official Riverwalk Hotel; you can pick up the required Tampa Riverwalk To-Go cup at any of the hotel's bars. 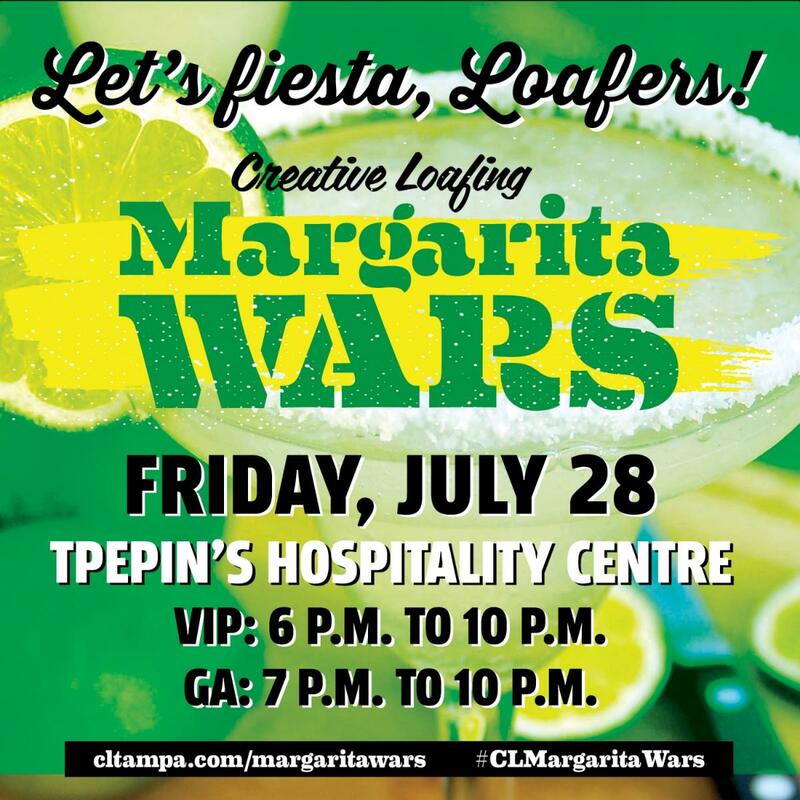 It's time once again for Creative Loafing's Margarita Wars at the TPepin Hospitality Suite. Experience the competition between local favorites Beach Bar & Restaurant, Besito Mexican Restaurant, Brewlands Bar & Billiards Carrollwood, Datz, O Cocina, Sea Salt St. Pete and more. Grown Ups, it's your time! Yes, your opportunity to take over the Museum while enjoying drinks on the panoramic garden terrace has arrived! This weekend you can give into your desire to jump in and play. Embrace that inner child, the one who's been screaming from inside while you patiently watched your kids enjoy the fun things to do at this creative Tampa Museum. Join the Gulf to Bay Food Truck Association for food, fun and live music as we wrap up Grouper Week! The 1st Annual fest includes food trucks offering up their best grouper dishes, craft beers, and live entertainment. Head to the Port St. Pete for this FREE event in St. Petersburg. 250 8th Ave SE, Saint Petersburg FL, 33701. 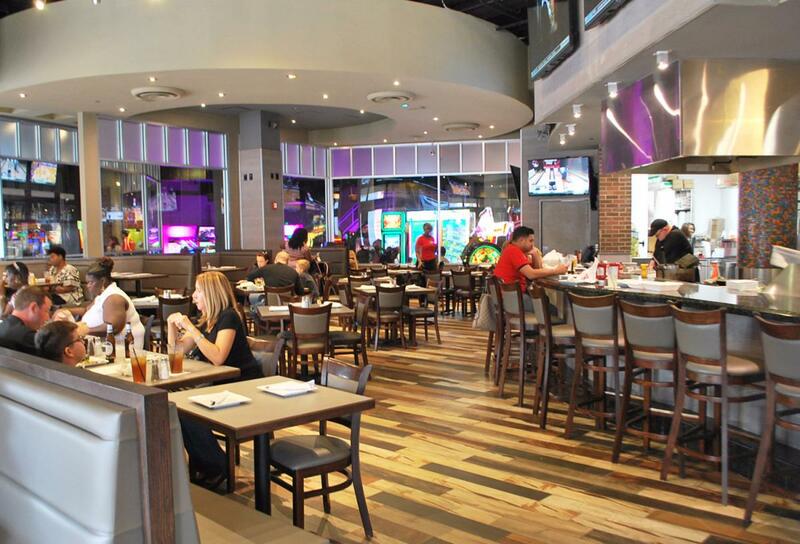 Tampa's Official Watch Party Sports bar is GameTime in historic Ybor City, where you can watch the game, dine on delightful pub-food and play 120+ state-of-the-art arcade games too! Watch the Rays take on our Tampa neighbors the Yankees as Rays Radio broadcasts live from GameTime. Join Neil and the Rays Street Team as they hand out swag and up the fun Friday, July 28th beginning at 7 pm. 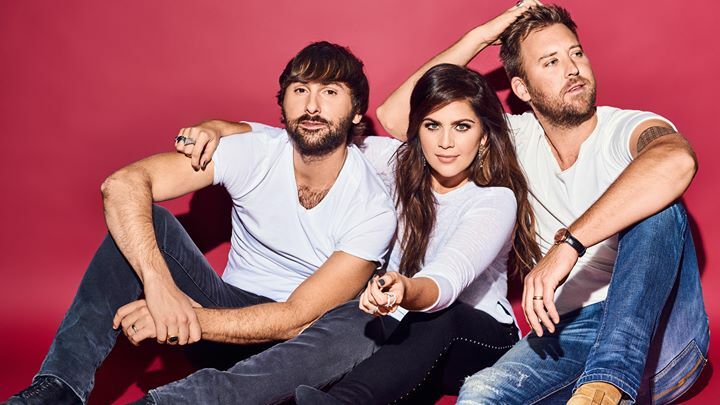 Following a short break, Lady Antebellum is back and appearing this weekend in Tampa Bay at the MIDFLORIDA Credit Union Amphitheatre. This band, known for epic ballads, delivers with their latest album Heart Break. We can't wait to see them perform in Tampa. If you enjoy live music visit our Tampa Live Music Page and Live Music Pinellas to see where your local favorites are playing. From year's of experience with our children, we can assure you this is an excellent way to get kids excited about going back to school. Join the fun this weekend at Westfield Mall's Full Inclusion Back to School Bash. Filled with hands on activities, an interactive scavenger hunt and more this is a family-friendly event. Stores offer fantastic deals on essentials; kids can pick out NEW things to take with them the first day back as you check tasks off that list of things to do before the kiddos head back to school. 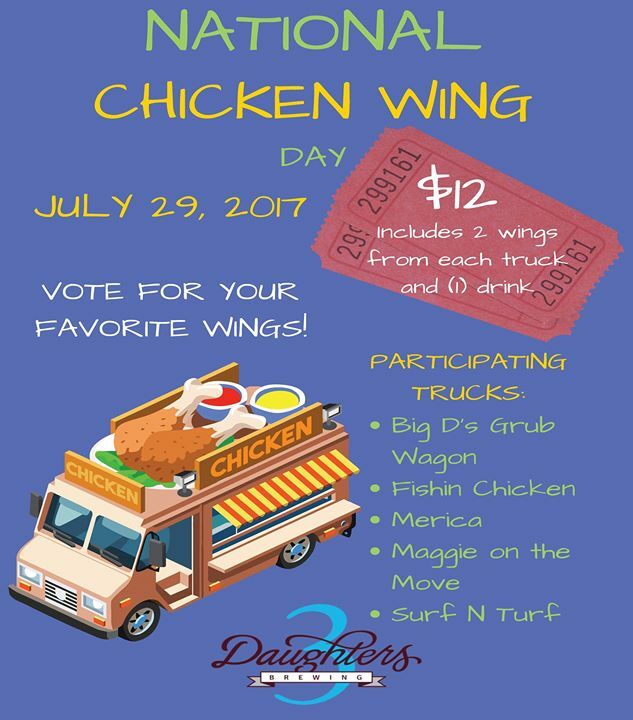 One of our favorites, NATIONAL CHICKEN WING DAY, is here and 3 Daughters Brewing is hosting the party! Celebrate with food trucks, vote for your favorites, and check out the new Orchard, this award winning brewery's new Cider Bar. Hint: If you think you do not like cider, ask to taste a Trifecta. All we can say is "Wow!" GameTime is the place to be Saturday night, first, at 6:30 pm as they broadcast Barcelona vs. Real Madrid, two of the best teams in La Liga. Then stay to watch Cormier vs. Jones! There is no cover to watch these events unfold, and no reservations are needed. Just be sure your group is together when you go in, you can't hold seats. 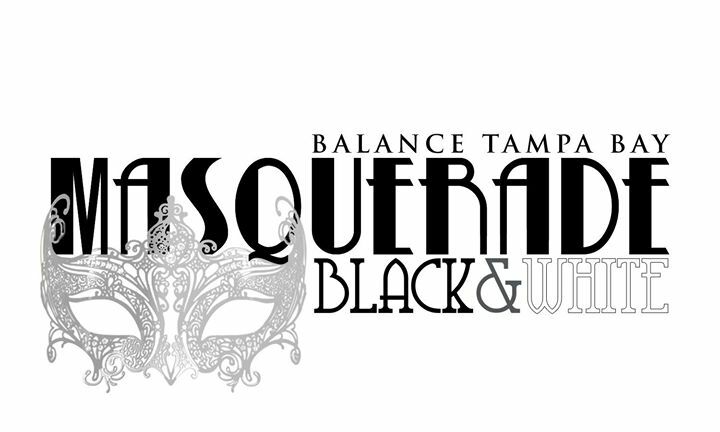 Balance Tampa Bay hosts their 3rd Annual Masquerade Ball this weekend in Tampa Bay at The RITZ Ybor. One of our Top 10 things to do this party is pure entertainment, offers unparalleled ambiance, a world class DJ, and it is charitable too! Join an anticipated record breaking crowd at The Ritz as together we celebrate and support the merger between local HIV/AIDS resource centers, A.S.A.P. and Francis House. Together they formed Empath Health's EPIC. All proceeds from this weekend event in Tampa Bay benefits EPIC and their much-needed community efforts. 1503 E 7th Ave, Tampa FL, 33605. 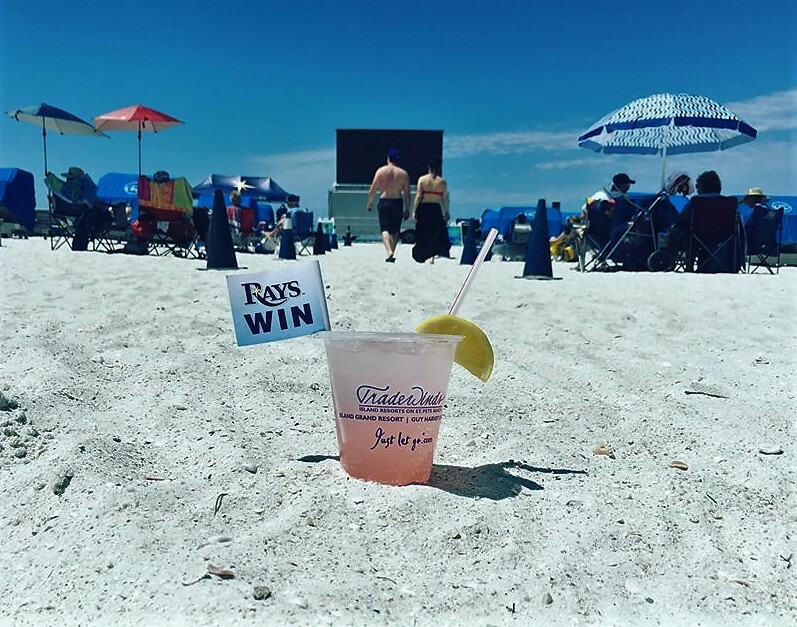 Grab your beach towels and sunscreen for this Tampa Bay Rays Watch Party on the beach at Guy Harvey Outpost and TradeWinds Island Grand Resort. 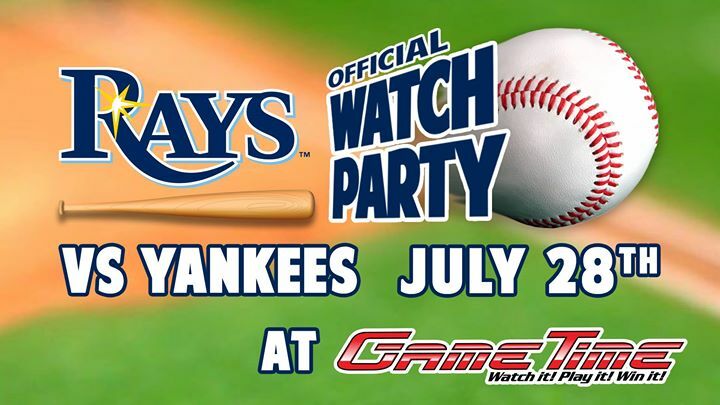 Watch the Rays take on the Yankees on the BIG screen while your toes are in the sand. One of Tampa Bay's favorite resort destinations, the Tradewinds is offering a great deal if, like many, you are planning on beachin' it this Labor Day along the Gulf of Mexico. Whenever you are looking for Things to Do in Tampa or Things to Do in St Pete/Clearwater, Pinellas and on the beaches, sister sites 813area and 727area have you covered. Register and connect not only to top things to do but Sports, Events, Restaurants, Nightlife, Clubs and Bars and much more. Stay on top of local sports with sportswriter Dave Wirth and other Local Contributors who know the area and can guide you to the best of the best. No matter where you travel, look to see, we are probably there! Follow this link if you like to write or take photos and would like to become a Local Contributor.